The Festival features carnival rides and games, arts and craft exhibitors, food booths and commercial vendors, musical entertainment, the flower festival parade and fun for the whole family! Lompoc’s home-town tradition celebrates the valley’s agricultural heritage with floats, marching bands, equestiran units, drill teams, and more! All floats are designed and constructed by local organizations and feature flowers and/or natural materials. Join thousands of spectators along the Parade route and celebrate Flower Festival weekend with us! The carnival, presented by Paul Maurer, is open all five days! Arts and Craft and Commercial vendors will be available Friday – Sunday. Food Booths will be open all five days. Main stage entertainment with paid admission. Visit the Lompoc Valley Festival Association for more information. 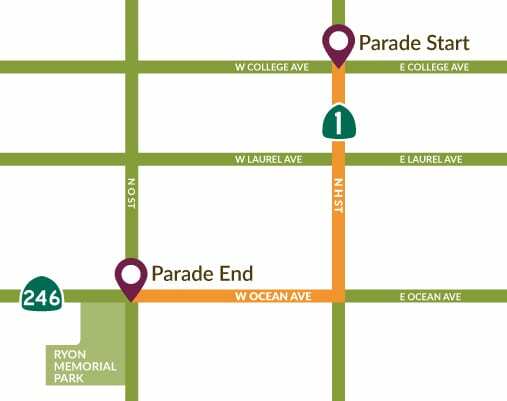 The Flower Festival parade starts promptly at 10 am,on Saturday, June 29, 2019 and runs thru town from North H St. and East College Ave. and proceeds down H St. and Ocean Ave. Bands, floats, equestrian units, drill teams and drum squads, and clowns delight and entertain the crowd. 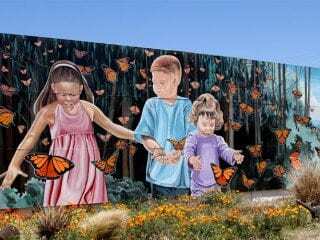 All floats (designed and constructed by local organizations) must be constructed of flowers and/or natural materials, most of which have been grown in the Lompoc Valley. After the Parade head on over to Ryon Park for the Flower Festival –you’ll find food vendors, carnival rides and games, live entertainment and all kinds of exhibitors! No pets permitted in the park during the festival. Paid parking is available on site for a nominal fee. Admission to the Park is $5 for 13 & older; free for those 12 & younger. 4-Day Admission Pass for $15.00. Bring your lawn chair or blanket to relax in the lawn and enjoy all the festivities. One day unlimited ride wristbands are $20 each pre-sale & $30 on site. Ride coupons will also be available for purchase on site. Single coupons for $1, 7 tickets for $25, 80 tickets for $70 and 120 tickets for $100. Address: 2414 W. Ocean Ave.
Come See the Lompoc Flower Fields & Wildflowers! In town for the Flower Festival? Why not catch some of your favorite wildflowers blooming on your road trip! Wildflowers bloom around mid April each year and can be found on our lush rolling hills and usually seen from the roadside. In the “Valley of Arts and Flowers”, visitors can see spectacular patches of colors from spring through fall in the farm fields of Lompoc Valley – Stock, Larkspur, Delphinium, Sweet Pea and Bells of Ireland along with other varieties are grown in abundance by local commercial flower growers. ENJOY ALL LOMPOC HAS TO OFFER! Stay for the weekend and plan an epic coastal adventure. From lush hills to sandy beaches, wine tasting to mission exploring – Lompoc has space to explore!